Just wanted to pop in and say “hi”! I didn’t really plan to take a hiatus this summer, but that’s how it’s worked out! Did summer school this year, but that wrapped up last week and now I’m truly on summer break (off to Europe next week!). I actually just accepted a new job (still in early childhood), so am really excited to start the new school year and I’m sure will have lots to post. Thought I’d post the books we used for summer school in our speech/OT/social work group to coordinate with our themes (+ a few ideas). Ocean: The Pout Pout Fish (we followed directions—finding a fish or frog and crawling through a tunnel to hand it off to an adult, labeling it; sang this song (“Let’s Go Swimming”); sorted ocean vs. farm animals with Boardmaker visuals and beanie babies; identified animals with the Peek-a-Boo Ocean app). Jungle/Bugs: The Very Hungry Caterpillar (sang 5 Green and Speckled Frogs, used a lot of the ideas mentioned in this post). Vacation: Flip Flop (we packed a suitcase to go on vacation with lots of Miss Elena’s clothes, spread out beach towels/pretended to go to the beach, pretended to surf and spot ocean animals while dancing to to “Surfin’ USA”, made sandwiches for a beach picnic with this great kit). I’ll get back on a regular posting scheduling at some point, but for now life is busy busy busy. Just popping in to share a few /s/ materials I’ve made over the years. Hope you enjoy! S-blends to follow soon. 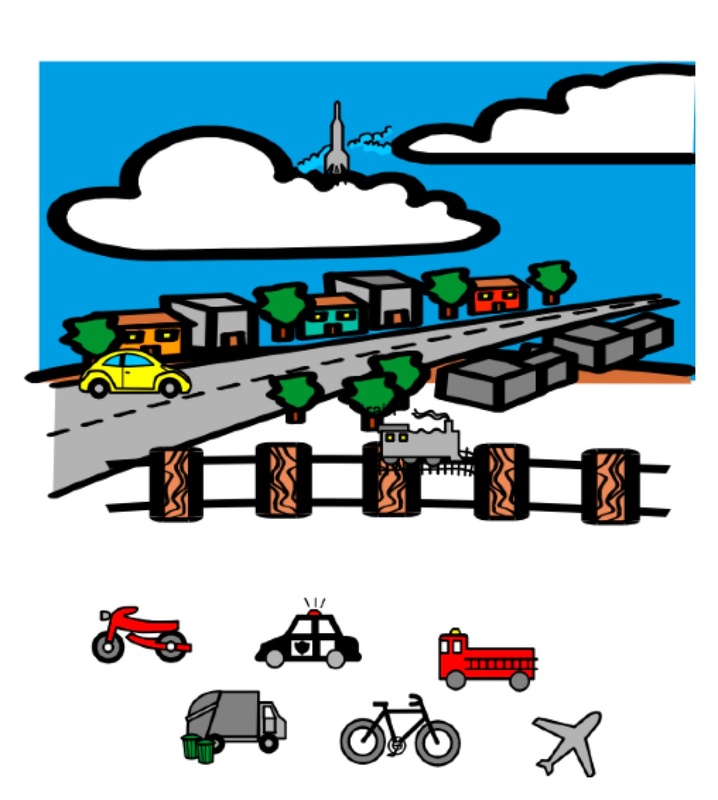 Here are a couple of simple SMARTBoard activities. Could be used to target spatial concepts receptively or expressively, following directions, medial or final /s/ at the phrase level (Where’s the dog? In the castle/doll house), labeling furniture or rooms of the house, etc. Enjoy! Have a wonderful weekend. I know I need to work on 5ish IEPs today, so time to get crackin’! May, you are intense. 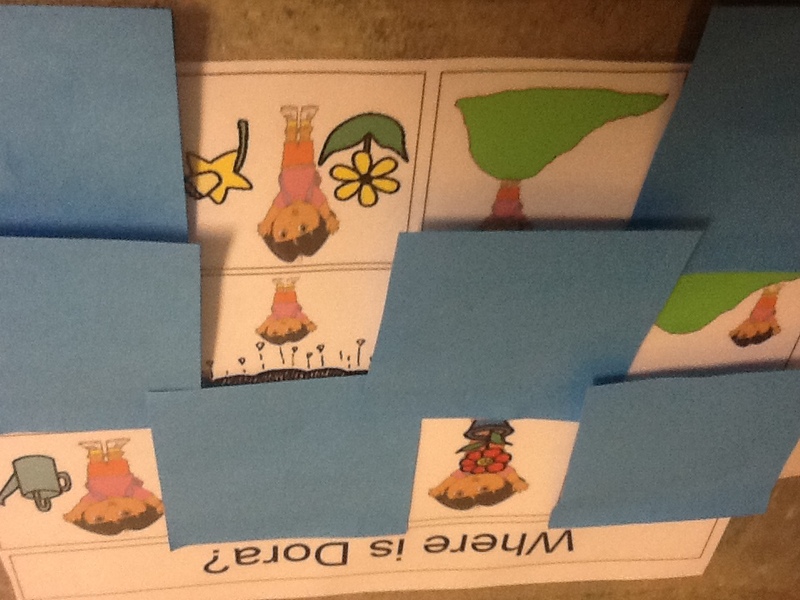 After spotting this activity on Speech Language Play, I printed and laminated it. Today I used it with one of my students who is just starting to answer “wh” questions consistently with visuals. I hid each box under a post-it note, so he had the added excitement of uncovering each picture scene. I was inspired to make a few similar boards of my own. You can download ones for Dora, Thomas, and Spiderman below. 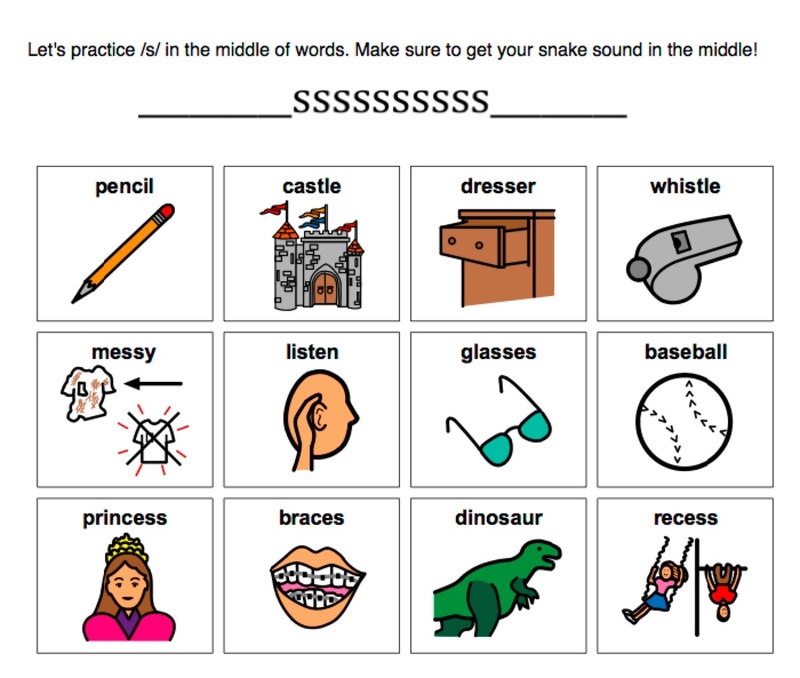 Head on over to Speech Language Play for a nice printout with preposition symbols. Happy Teacher Appreciation Day to all the fantastic teachers out there! I know that, as a school SLP, I’ve also felt very spoiled this week and it’s fabulous. 🙂 One of my three-year-old boys came in bearing carnations today. Pretty adorable. Enjoy the treats and appreciation! Time to share a few random things I’ve made and loved this week. 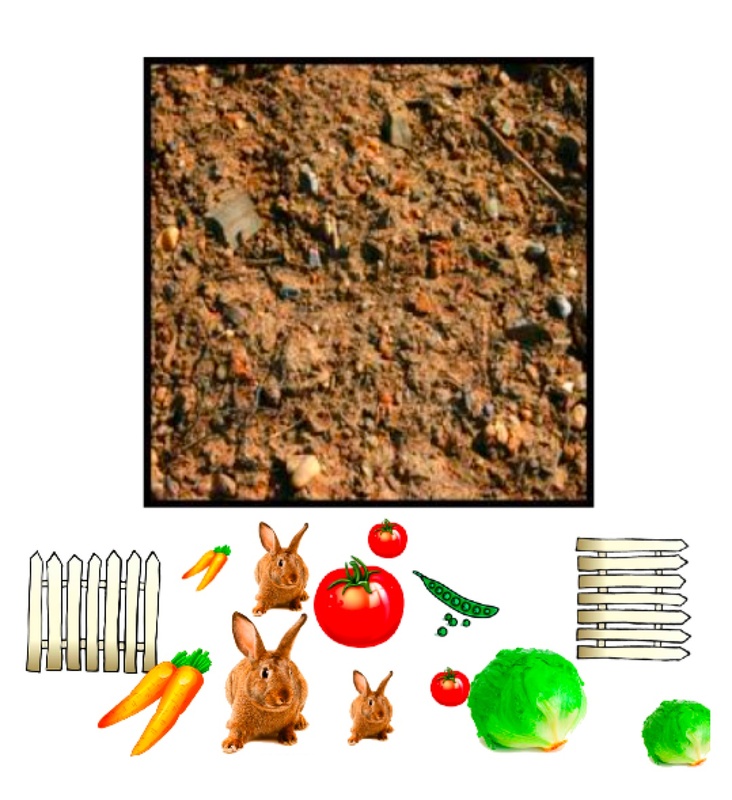 Made by me: Garden SMARTBoard activity (made from the visuals I had laminated/velcroed for Muncha Muncha Muncha. Can use for labeling veggies, following multi-step directions, spatial concepts, etc) + what I sent home to parents, in case you’re looking for inspiration. Here’s a powerpoint targeting /v/ in all positions of words (very simple). A visual to help retell We’re Going on a Lion Hunt. Worksheet for medial /t/ and /d/. 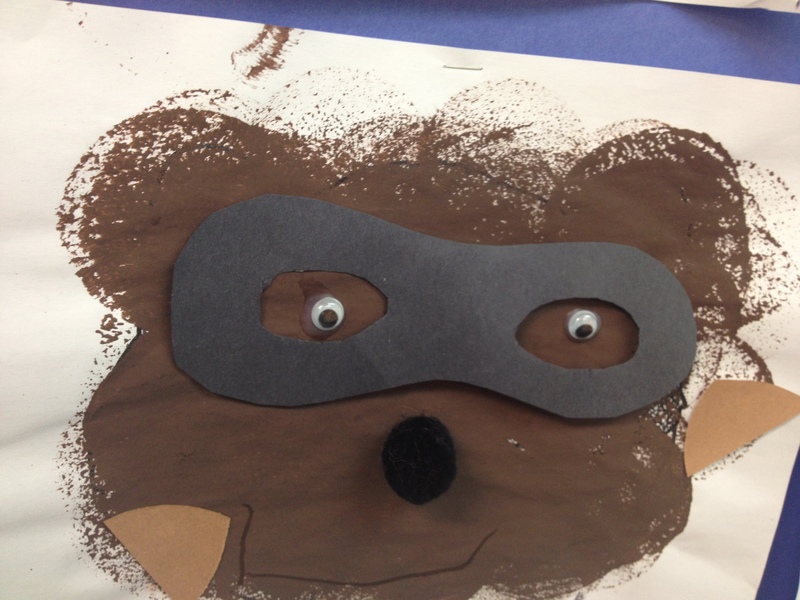 Found around the web: Love this 4-step sequencing download over on Boardmaker Share. Slapples to Slapples: an Apples/Apples-ish adjective game (I just downloaded the free preview for now! Loved using it with my 4-6th grade students). 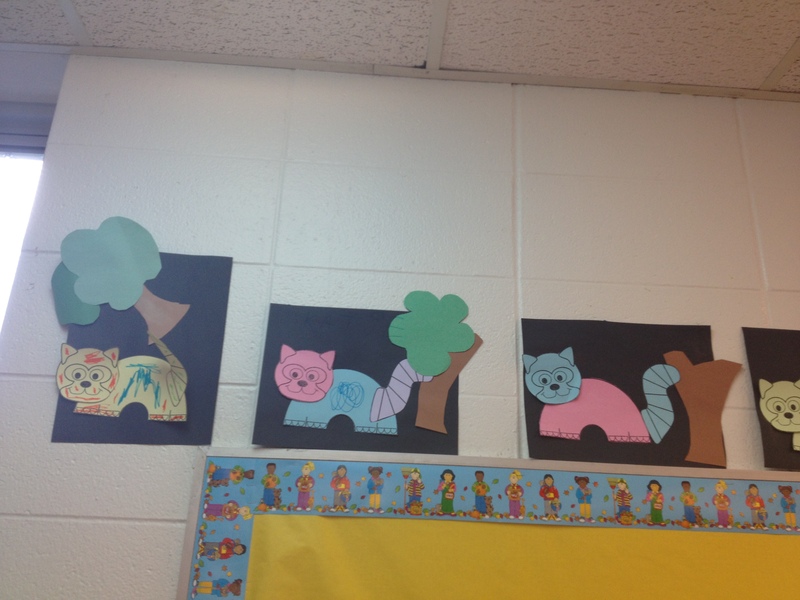 And I want to take advantage of these: sequencing cards that go with books (for preK-1st grade). And an article I loved reading: “7 Things You Don’t Know About a Special Needs Parent“.